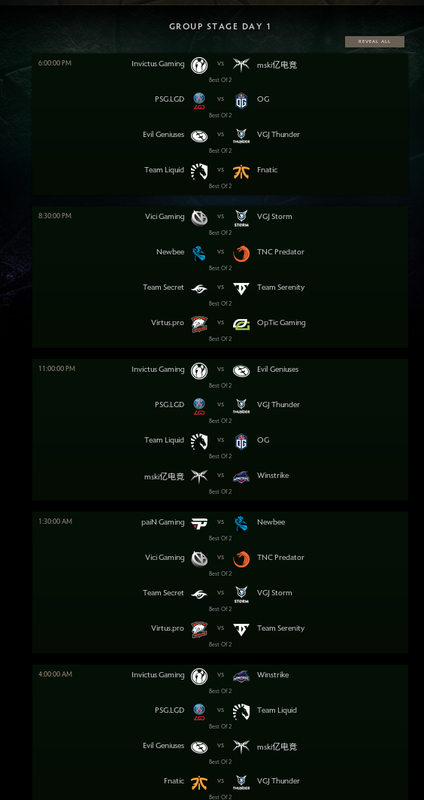 Biggest Dota2 event that is held once per year(and so far biggest in esports) is starting today with 4 matches in best of 2 fashion. Valve sponsored and organized event held in Vancouver, Canada, will start today with astonishing prize pool of over $24,000,000! This prize pool guarantees that each player on winning team will earn at least $2,000,000 each! 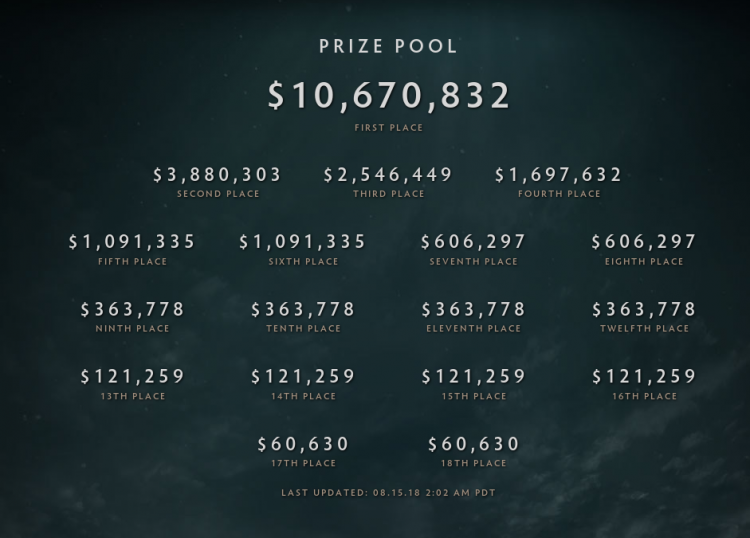 Best part of TI event when it comes to prize money is that every single participating team will earn a piece of it! Teams are separated in two groups with 9 teams each, playing in round robin system with best of 2 matches. Top four teams will advance into Upper Bracket while 5th to 8th will go to Lower Bracket. Last placed team will unfortunately have to finish it’s participation in group phase. PSG.LGD is a clear favorite here as they are top 3 contenders for the TI8 title. OG is a solid team but they haven’t showed world class performance previous to the event. We expect PSG.LGD to secure both games without much problems. 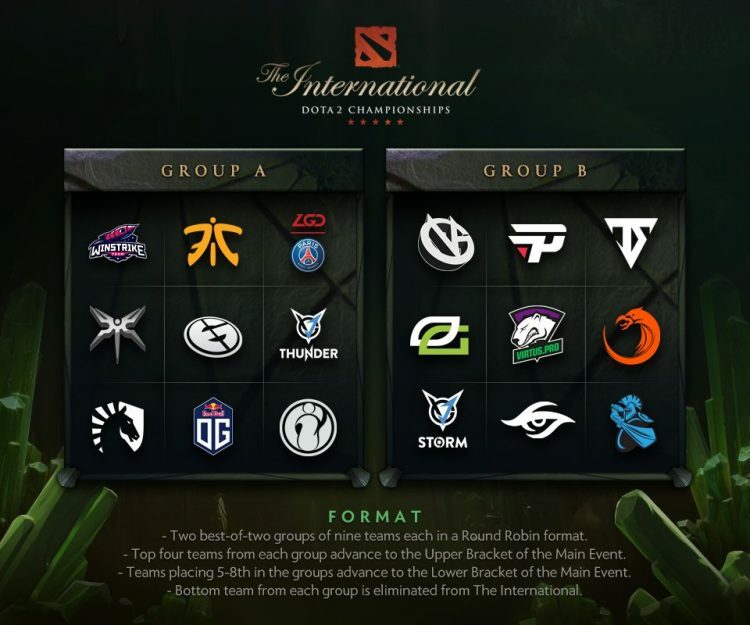 Team Liquid as reigning champions of TI7 is definitely a favorite against Fnatic. However matches should not be too easy for Liquid as they tend to start slow. Fnatic has some great individuals on their team and they surely can take a game off of Liquid. Mineski is high level tear team, while iG is somewhat lesser quality side. iG shouldn’t be a hard opponent for Mineski so we expect easy 0:2 in this match up. Evil Geniuses, a legendary team when it comes to Dota2 will have not so famous and legendary opponent in VGJ.T. While EG is clearly a top tier team it is expected for them to start with a bang. Their desire to reclaim the title is surely present and everything but 2:0 must be considered a huge upset.